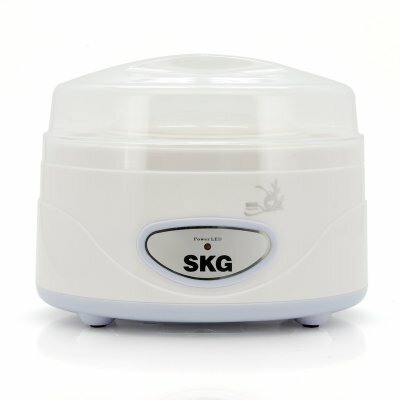 Successfully Added Electric Yogurt Maker "SKG TNA-01A" - 1.2 Liters to your Shopping Cart. Electric Yogurt Maker with a volume of 1.2 Liters is the modern way to make fresh and healthy yogurt in your kitchen. Direct from Chinavasion, a yogurt maker that is manufactured by internationally famous quality kitchen equipment specialist SKG. This yogurt maker that is known as the “SKG TNA-01A” is a great way to stop buying overly priced branded foods that contains also sort of added ingredients and start ensuring you know exactly what is going into your body. With an exquisite design, this household appliance won’t look out of place plus it is not too big and is lightweight in design. The volume capacity if this yogurt maker is about 1.2 liters meaning it can hold plenty of yogurt and can be used for several servings before each batch. The “SKG TNA-01A” has a unique balance barrier design to make all the temperatures in the container be consistent, and prevent part of the higher temperatures from killing the lactic acid bacteria to ensure that it is still active. Due to the design of this yogurt marker, the fermentation condition of the yogurt can be directly observed from the transparent upper cover, so you can view the process and ensure it is correct with no issues. Also concerning the container and the lid, they have been designed to have a good sealing property, which can prevent yogurt in the process of production and preservation from leaking out. 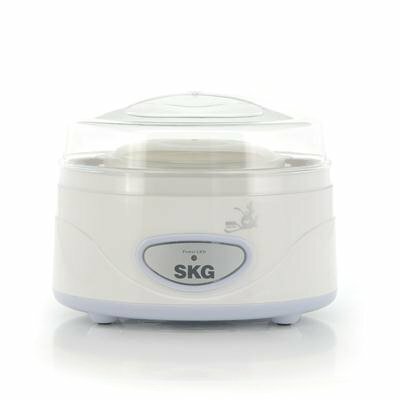 This “SKG TNA-O1A” yogurt makers is a great way to make your own home made yogurt as well as being healthy. In stock and backed with a 12 months warranty, this product is now ready for shipment within one working day. Brought to you by the leader in wholesale personal health gadgets, Chinavasion. This product is for 220V to 240V power supply only and is not compatible with 110V power supply. Please check your countries power supply before purchasing this product.